Council Connection » #TeresaTuesdays – Budget is Nearly Here, Standing with Workers, City Light CEO Confirmation Hearings Continue, and more! #TeresaTuesdays – Budget is Nearly Here, Standing with Workers, City Light CEO Confirmation Hearings Continue, and more! We’re just under a week from the Mayor releasing her proposed budget, and #TeamTeresa is working hard to ensure your policy priorities are included, as the budget should be a reflection of our values. Below is an update on what we’re working on and ways you can get engaged! Yesterday, I was proud to sponsor a resolution supporting dairy workers across Washington. I stood shoulder-to-shoulder with dairy farm workers, with United Farm Workers (UFW) and other labor unions, faith leaders and community organizations as we called for all employers along the supply chain to ensure dairy products are ethically sourced – free from wage theft, harassment, intimidation, and unsafe working conditions. 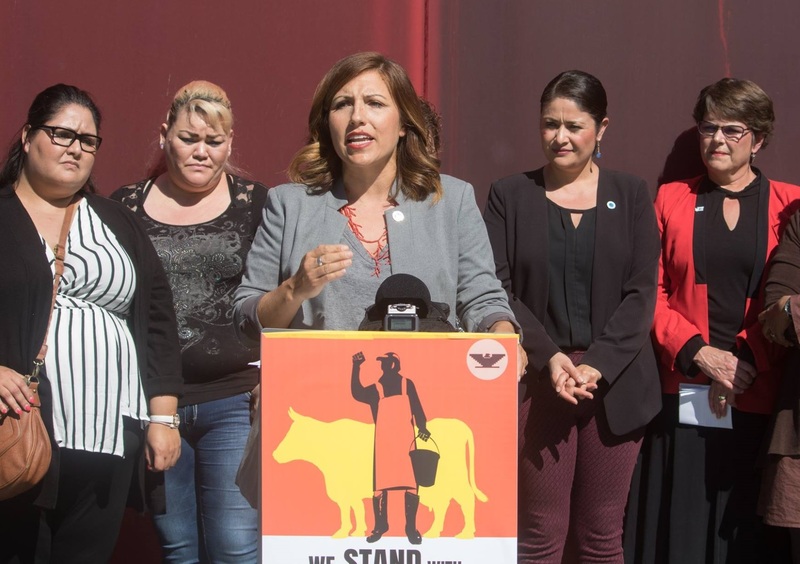 After years of trying to draw attention to the injustices faced by dairy workers and calls for accountability along the supply chain, over 200 UFW dairy workers will start a Fast for Reconciliation this Thursday to elevate these injustices. Please consider joining the effort and join the campaign in solidarity with the dairy workers. 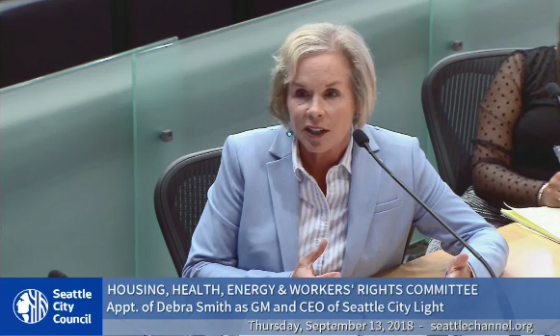 This Thursday the Housing, Health, Energy, and Workers’ Rights Committee will again interview Debra Smith, the Mayor’s choice to lead Seattle City Light. In my committee last Thursday, there was a robust turnout from the community – including testimony from union members, Seattle Silence Breakers, energy conservation leaders, and industry experts. We hope that additional members of the community will join us again this Thursday for further discussion. After the hearing there may be a vote to recommend her confirmation following the committee’s questions this week. You can find the questionnaire from our office with Smith’s full answers hereand here. These questions were crafted with input from fellow Councilmembers, Labor advocates, environmental activists, and energy conservation leaders. We are learning more about Smith, and to date she has shown an impressive commitment to a safe and harassment-free workplace, improved relations with workers, as well as a willingness to tackle difficult issues. During her hearing on Thursday we anticipate learning more about her views on environmental stewardship, energy production and conservation, customer service, and governance vision for City Light. Prior to her appointment, we will hear reports on the Office of Housing’s Race and Social Justice Initiative implementation plan, and the Yesler Terrace Annual Report. Public comment for the City Light General Manager Appointment is anticipated to begin after these reports, at approximately 10:30 a.m.
Is there something you think we should ask? Just reply to this email, and you can help craft our questions in advance of Thursday’s hearing. Keeping Public Land for the Public’s Good: Housing, Green Spaces, Childcare & More! In case you missed it, last Wednesday the Finance & Neighborhoods Committee voted out our land disposition policy legislation, sending these important updates to Full Council on October 1. First adopted in 1998, these updates will ensure that we are prioritizing use of public land for the highest and best public use, notably affordable housing and mixed-use development with an affordable housing component. Going further, where unused or under-utilized city-owned land is in an area at heightened risk of displacement, these new policies direct the city to work with community-based organizations that reflect the community to meet the needs of the community. Thank you to the Mayor, Councilmember Bagshaw and the many organizations that are working diligently to mitigate displacement in Seattle, promote green spaces, create community-led development, and who have been working with our office on this policy. I hope you’ll join us for the final vote at the full council meeting on October 1 at 2:00 p.m.! Next Monday, September 24, the Mayor will transmit her proposed budget to the Council. We’ll be working in overdrive through October and November to ensure that the final budget adopted meets our values. For my office, I am focused on promoting investments to ensure workers are protected, and outreach/enforcement efforts are funded; that housing access and community outreach for affordable housing development is prioritized; and that we are investing in the health care needs of our all residents to ensure we are creating healthy communities throughout Seattle. For more information about the budget, please visit the page for the budget committee. We will be keeping you updated throughout the process, and look forward to continuing to hear your priorities. Our 2019 community calendar is being developed over the next few months. We’d love to come visit your neighborhood, union, business, childcare – you name it! Let us know where you’d like us to be, and we will try to schedule it in for 2019 in addition to rotating office hours throughout the city. Thanks for all you do! Posted: September 18th, 2018 under Uncategorized.